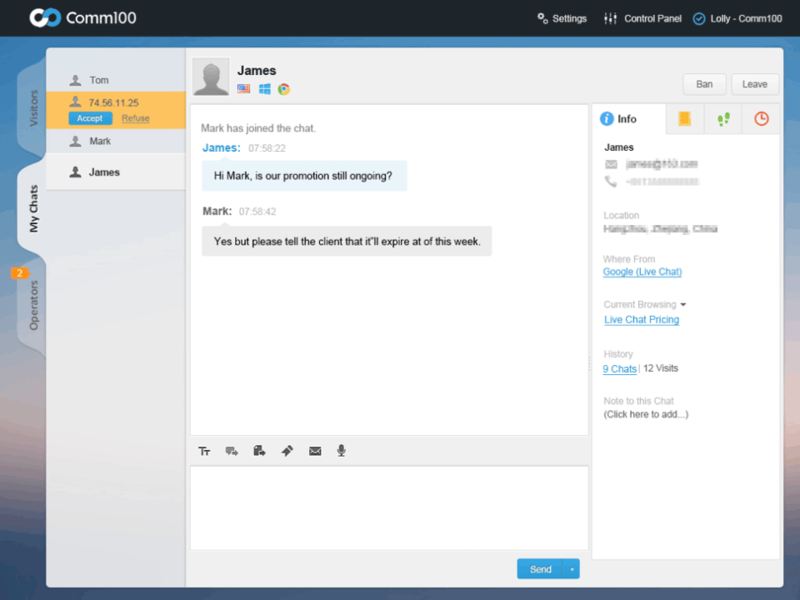 What is Comm100 Live Chat ? 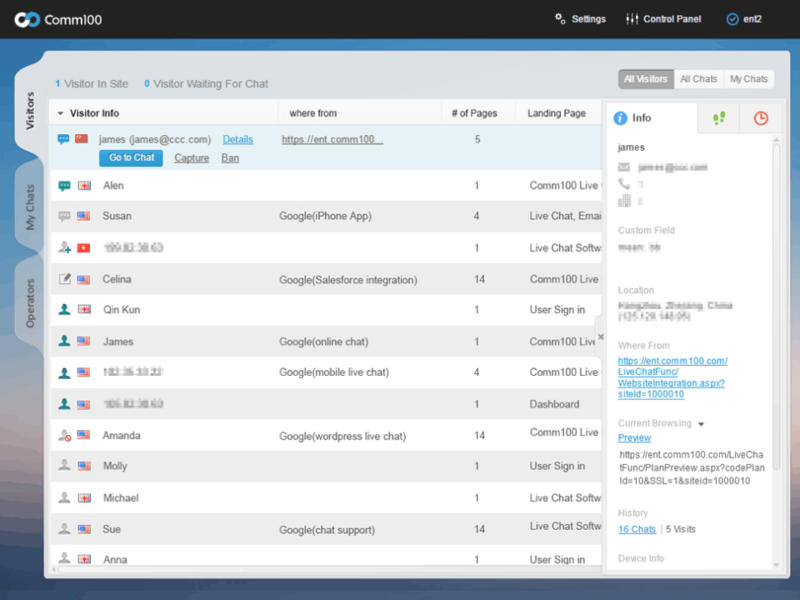 Comm100 is a Digital Engagement platform real-time interactions via the web, mobile, and messaging. 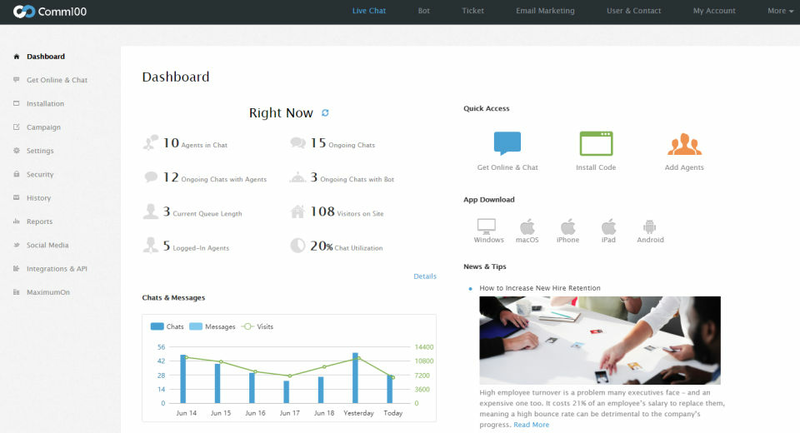 Live Chat is a simple software used to engage customers online and configurable pre-chat surveys. It integrates with CRM and e-commerce systems. How much does Comm100 Live Chat cost ? The pricing for Comm100 Live Chat starts at $29.0 per month. 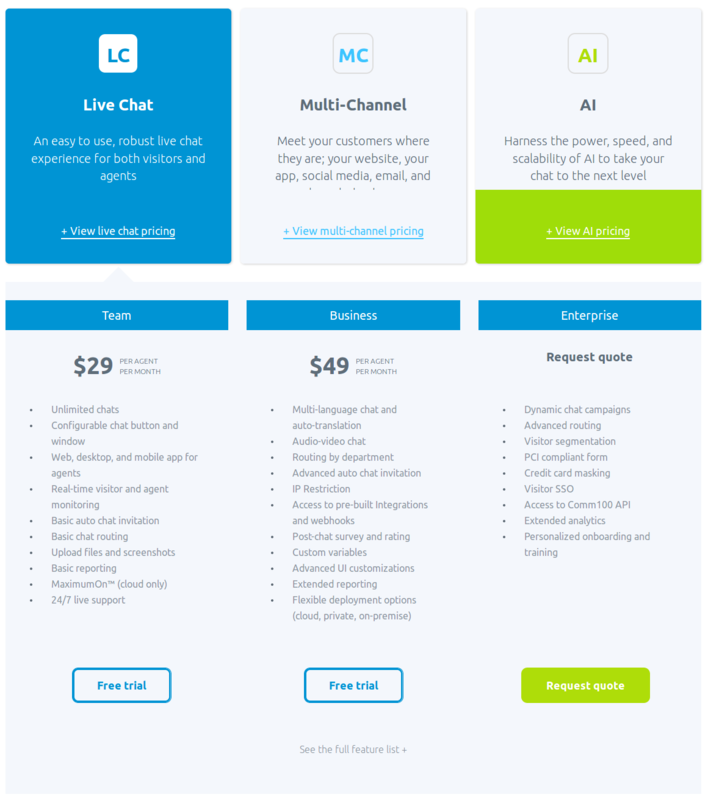 Comm100 Live Chat has 3 different plans such as - Team (Live Chat) at $29.0 per month, Business (Live Chat) at $49.0 per month and Multi-Channel Business at $89.0 per month. Comm100 Live Chat also offers a custom plan based on the customer's request. Contact the vendor to get the latest pricing detail. Contact the vendor to get the detailed pricing information. 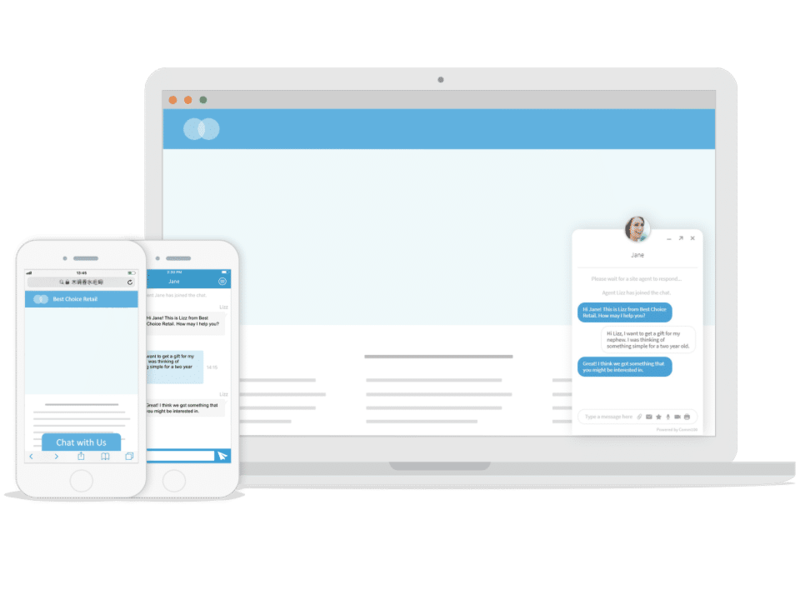 Comm100 AI is an extention of Live Chat Enterprise or Multi-Channel Enterprise. Disclaimer: The pricing details were last updated on 11/01/2019 from the vendor website and may be different from actual. Please confirm with the vendor website before purchasing. Pros: The design is intuitive and the program helps you gather all the info you might need to further a conversation with a customer . Cons: We were promised darker themes a while ago . This hasn't been delivered yet . Pros: Extremely feature rich. It boasts everything the industry leading softwares have and yet isn't as expensive. There isn't so far anything that we've wanted to do that we've not been able to. It's also really a software that can grow and scale with you. We started out on the most basic version several years ago and have opted in to addons (e.g the knowledgebase) over time as well as moving up to higher version as necessary. The sales team have been helpful every step of the way in putting together a package that is perfectly tailored to our needs that year. Comm100 is very regularly updated and it's obvious that the makers are putting a lot of thought into the upgrades and what features and improvements are in demand now! In particular the new modern UI has been great. Really, really, really easy to use. What put me off about a lot of competing softwares is the steep learning curves both for initial setup and for staff to use ongoing. Many of the staff in our business are non-technical but we haven't even had to conduct training, they were able to use Comm100 straight out of the box. Really personal feel from the support team. They always give quick and helpful responses to any questions (however dumb). You're not on your own with Comm100. Cons: We've never really experienced any problem with Comm100. Anything we didn't like has been improved with newer versions of the software and in one instances a custom fix from the support team just for us. 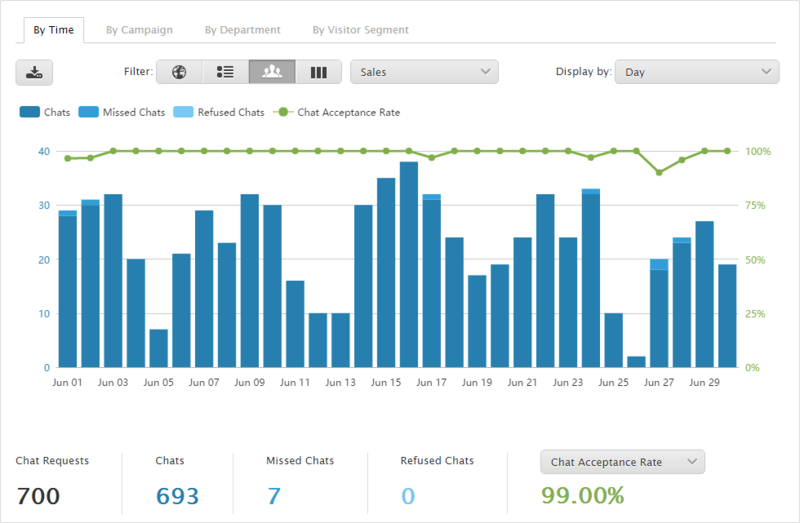 Overall: We use Comm100 for most of our customer support but the livechat is where it really shines. The customizes automatic invites, modern responsive design, knowledgebase and canned messages have helped us leap ahead of our competition in terms of our customer experience and this is reflected in our reviews. We are working on expanding into using Comm100 for 100% of our helpdesk experience and so far things have been going great. "Better than the big guns"
There's not really anything in particular that we dislike. A couple of years ago we had wanted a more modern UI but the new version of Comm100 totally rocked our socks off on that front! Definitely give them a go, we were glad we did! We use it for nearly all of our customer support and have done so for several years. We have achieved fantastic trustpilot reviews helped by comm100's canned messages, customized automatic invites, analytics/reports, and inbuilt features for customers. 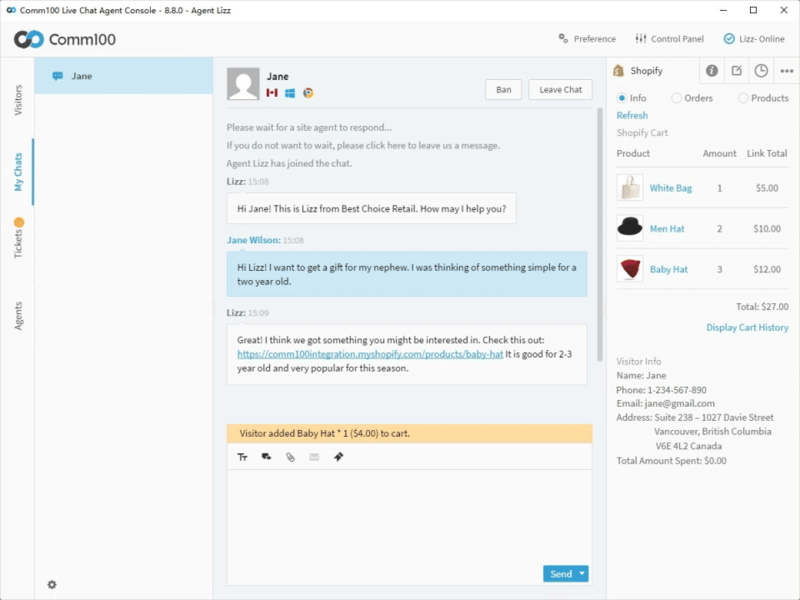 Pros: Comm100 is one of the best LiveChat tools, it's stable and reliable and easy to use both for the agents and customers. 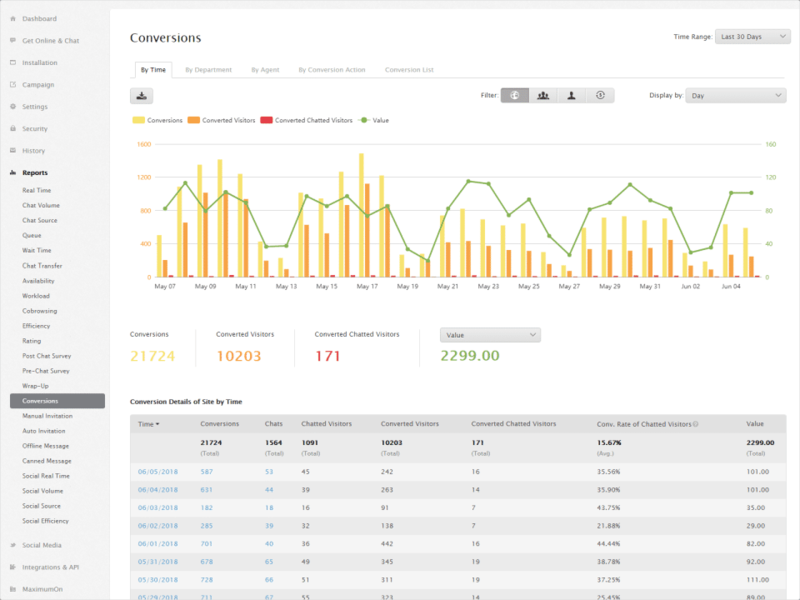 It has multiple options for tracking and managing prior chats and data, a lot of settings for access for each profile created. Cons: So far we have had no issues with the system. 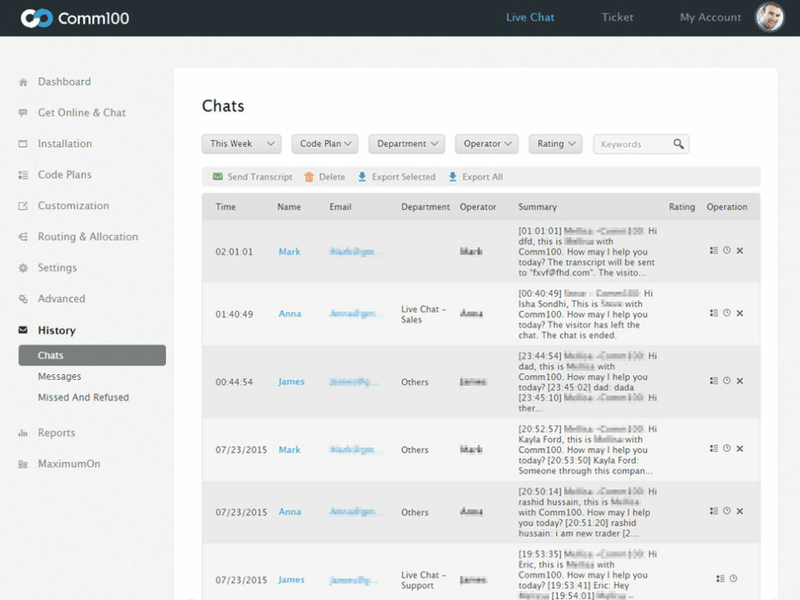 as an online chat agent..
Pros: Great chat software, Comm100 is stable, easy to set up and use. It's regularly maintained and new features are added constantly. Cons: We've been using it for years and we haven't had any issues with it. "Great partner, people & product"
the team at Comm100 is a pleasure to work with in all regards. they are knowledgeable, responsive, creative, upbeat and always willing to dig into details in order to put serving the customer first. It is difficult to find anything to dislike about Comm100. Their team is excellent. I might like it if they had an office in California. Thoroughly evaluate the service levels of all chat providers by talking with existing customers. You will find that the Comm100 team provides excellent service. Comm100 understands agent training as well as the best uses for bots and automation. We benefit by being able to refer a trusted partner to our customers. 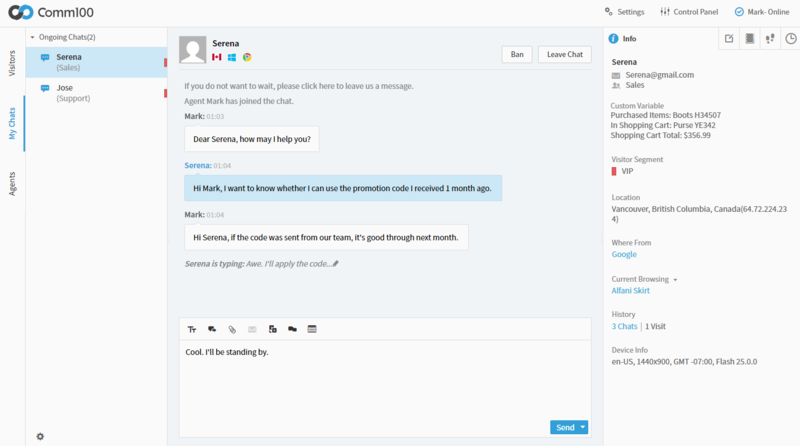 Pros: This software fits great our organization needs, we use it as a chat channel to communicate with our customers, perform both sales and customer service. Clients also love it, they can rate the chat session after it ends or automatically receive copy of the chat log if requested. Servers are good and never failed us, we have 24/7 support and use this chat constantly. 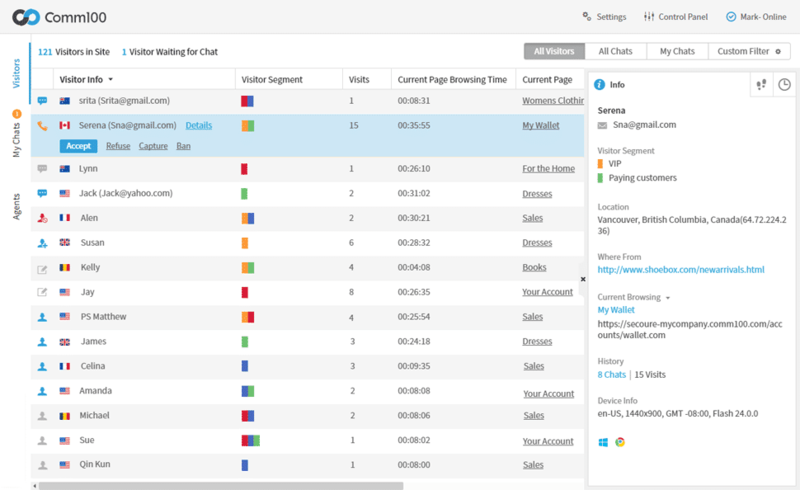 Admin panel is also great as you could set different options and observe operators work, chat session are saved and also connected to the database where operators can attach them after each chat. Reports show many useful stats that can make you plan the business! Cons: Nothing bad to say as chat has been really useful for us! Thanks for the 5 stars! You¿re going to make our developers blush with all these kind words. I¿m also glad to hear that you find our platform to be top notch in terms of reliability. I know you have nothing bad to say but if you think of any capability you would like to see from our product in the future please let us know on our customer feedback forum (https://comm100.uservoice.com). Thanks from the Comm100 team! Pros: I've been working with comm100 live help for years already, great product with many options. We use it for communication with our clients and it never failed us. You can by slots for as many operators as you need to and set different option for each of them such as quantity of customer that can be accepted per operator, auto accept option, option to get offline message if there are no operators online. Many many settings, also in terms of extracting reports and monitor the operators. With the admin rights you can manage everything you need to! Overall: Great experience so far, pleasure to work with and to communicate with the support if needed! It¿s really awesome that you¿ve used our product for so long and have had such a great experience with it. Our product team has worked very hard to create a robust and powerful tool so I will be sure to pass your kind words on to them. If you have any ideas on how we can improve please tell us on our customer feedback forum (https://comm100.uservoice.com). Thanks again Borislav! Customer communication made easy . Pros: With Comm100 you can follow each step of the process customers go through ,enabling you to have the best possible communication with them . 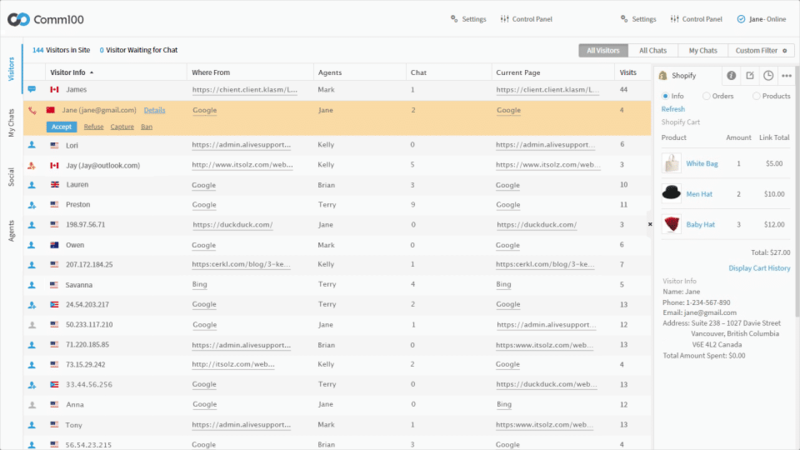 Every metric you can think of can be observed through them .Those I find most useful are the previous chat history and the option to see on which page of your site the person is currently at . Cons: Would love for more formatting options ,especially the ability to bold text in the conversations themselves. our goal as a company is to improve communication between businesses and their customers, so hearing that we are doing just that for you warms our hearts! While I would love to tell you that we will be adding a bolding feature to our chat, there are certain limitations to how chat editors are built, that being said, I will pass your note on to our product team for their consideration. Please leave any more product recommendations over on our customer feedback forum (https://comm100.uservoice.com).